I have been meaning to start the Christmas Gift series in December but things seem to be landing on my desk fast and furious, plus I am sure some of you prefer to get gifts now, rather than at the last minute, so hopefully our intentions will collide – I will try to inspire you and you will hopefully find the gifts that people you care about will appreciate, if not love. With my love of reading I though I will start with a book and even though it is the third book by this young woman, I honestly think it is her best yet. Tara Stiles is an American yoga force to be reckoned with. She is as tall and willowy as a ballerina, she has a joyous twinkle in her eyes, she will hug you if you will ask her to and her Strala yoga classes are a treat, whether you are new to yoga or do it on a regular basis. The three life skills – how to move our bodes, calm our minds and nourish ourselves are not only simple but they can bring real, long-lasting meaningful changes, with your own desire and permission of course. We all lead busy lifestyles, we get desensitized by how we feel, yet when people come together in a yoga class it creates a positive unity or as Tara put it ‘magic happens when we work in groups’. 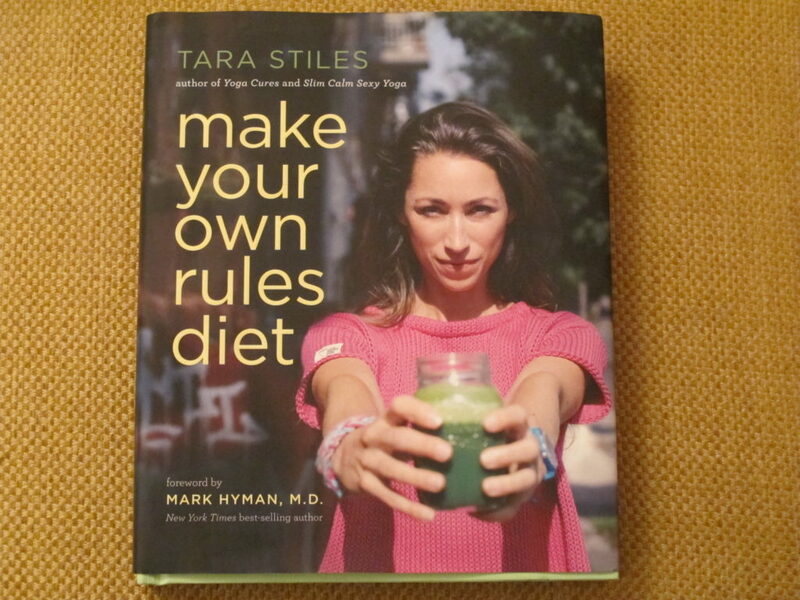 When Tara presented her book in St. James’s Church in Piccadilly this Monday she joked that her daily life involved not just Strala practise but ‘ daily crying with strangers’ while doing her book tour. What she means is that we often neglect self-care and constantly get stressed. This book is like a good friend who will reassure you and provide comfort, it will help build a breath and body connection, increase energy and inspire. And don’t be misled by the word ‘diet’ in the title – no dieting is involved unless you call thinking about what you eat from a nutritional point of view a ‘diet’ or ‘healthy eating’. We don’t need to prove anything to anyone but we can all benefit from ‘being present in the moment ‘s being disconnected drains power and stalls the journey of your soul. We are constantly bombarded with information about what is supposedly best for us but pause and consider for a moment who knows you best – media or YOU? Who is to say what makes us happy, fulfilled, what makes us smile, feel secure, grounded and complete? The book is a fun way to help anyone reignite their passions, being it on a cushion or in the kitchen. Having been stuck inside at home due to a bad cold I made Tara’s ‘Almond Butter Fudge‘ the other day and it was so good I didn’t rest until it was polished off and I hope you or the person who will receive this book from you will happily do the same. This book is also a great New Year resolution gift that won’t fade once February knocks on the door.